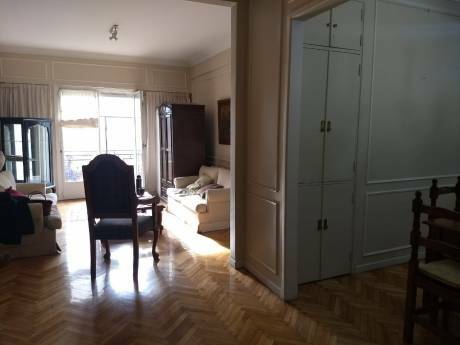 This 2500 square foot spacious apartment is in the heart of Buenos Aires. There are three bedrooms. The master suite is large with a salon de lecturas. There is a den, dining, and living area. It has all modern amenities including a brand new remodel while maintaining the classic charm. It is fully equipped, has AC and 2 fireplaces as well as a 30 sq meter balcony as well as 24 hr security. The flat is very light with 10 foot ceilings and glass throughout. The apartment comes with a maid who cooks, cleans, does laundry and shops m-f 8 hours a day. We spend @ 9 months of the year here. The flat is generally available for 6 weeks in Dec, Jan and 6 weeks in June, July. The neighborhood is in the Capital Federal of Buenos Aires. It is a luxury neighborhood with all available services. The apartment is within walking distance to a luxury shopping mall. Many great restaurants It reminds me of the upper east side of NYC. But there is Tango, street fairs, awesome steak, polo, and GREAT shopping. Buenos Aires is hot right now. 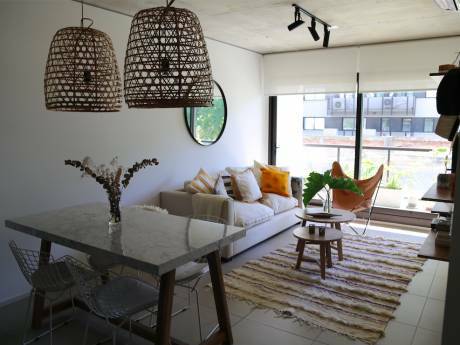 This apartment is in the heart of it. We are an expat, American family of 4. We are from Northern California but also spend a lot of time in Buenos Aires. We are studying Castellano/Spanish. We adore the Latin Culture and are in love with Buenos Aires. 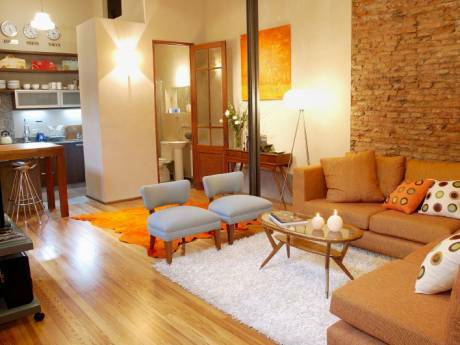 We divide our time between our Sierra MOuntain home in California and this lovely apartment in Buenos Aires.